Jamie began working in syringe exchange at Tapestry Health in 2001. She went on to found Washington Heights CORNER Project in 2005 which began as a direct action response to the lack of clean syringe access in Northern Manhattan. Jamie later managed the Injection Drug Users Health Alliance, a coalition of the 14 syringe exchange programs based in New York City, and also worked as a strategic expansion consultant in the field of harm reduction. When not working on NEXT, Jamie is the Senior Advisor for Strategy and Special Projects at Harm Reduction Coalition. Carol joined NEXT shortly after moving to New York from California where she most recently worked at the San Francisco AIDS Foundation, providing syringe access and Hep C outreach to people who use drugs. During her decade in the Bay Area, she expanded health access to patients of Tenderloin Health Services, provided resources to people living in encampments in Alameda County, and expanded food access to low-income communities at the SF-Marin Food Bank. This fall, she will be pursuing her MPH at Columbia University, merging her harm reduction work with academia. Schuyler Duveen is the Lead Developer at MoveOn.org. His past work includes Director of Technology at New York Public Radio (WNYC), and Senior Programmer at the Columbia University Center for New Media Teaching and Learning. While not working at MoveOn.org, Schuyler is developing non-linear 2d writing systems and participating at Progressive Hacknight. Michael Gilbert is a public health technologist with specializations in pharmacovigilance, health informatics, product development, and harm reduction. His past work includes design and implementation of public health informatics tools, research on successes and challenges in community-based distribution of naloxone, and development of technologies to support the health and wellbeing of people who use drugs. His current work focuses on the analysis of public and private sector interventions on drug markets, the design of tools to explore knowledge, attitudes and practices related to drug use, and direct service with local harm reduction programs. Daniel Pasette is the Senior Vice President of Core Engineering at MongoDB. Dan has been working in the field of technology for over 20 years. Prior to joining MongoDB, Dan worked as a developer and lead engineer at several media companies including LimeWire, MTV Networks, Sonicnet, and iXL. When not at MongoDB, Dan enjoys his work as Board Chair of the School Empowerment Network a not-for-profit that works to transform struggling schools. Tino Fuentes is a former drug dealer and drug user who has lost countless friends and family members to drug overdose. Prompted by the lack of action from the government and an inability to get community programs on board, Tino began teaching people how to check their drugs for fentanyl in 2016. Tino has taught people overdose prevention and reversal, and how to test drugs for fentanyl in New York City, Philadelphia, Washington DC, Newark, Baltimore, Pueblo, Dublin, and Paris. 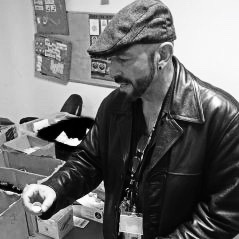 Tino has been practicing harm reduction for over 15 years and has worked at several New York City syringe exchange programs including Lower East Side Harm Reduction Center, Washington Heights CORNER Project, and St. Ann's Corner of Harm Reduction. Dan O’Connell worked at the New York State Department of Health AIDS Institute for 29 years before retiring in 2016. During his time with the Institute, Dan held a variety of positions including overseeing New York’s programs for HIV, STDs, hepatitis, LGBT health and drug user health, and was Institute director for his final three years with the state. He also served as an Executive Committee member for the National Alliance of State and Territorial AIDS Directors and received its highest award for his years of work improving the nation’s response to the HIV epidemic. In 2014 Dan received an award from the White House for his leadership in combatting viral hepatitis. Since retiring, Dan has remained active in harm reduction issues, including advocating for safe consumption spaces. He is also currently vice president of the board of directors of the Albany Damien Center, a housing and supportive services program for people living with HIV. Tracie Gardner has worked more than 25 years in the public health, public policy and not-for-profit fields as a policy advocate, trainer and lobbyist. She has led advocacy campaigns that won substantial increases in funding for substance use, HIV and alternatives to incarceration and reentry services, landmark HIV confidentiality and testing legislation, and landmark criminal justice reforms. From 2015-2017, Tracie served as the Assistant Secretary of Health for New York State, where she oversaw the state’s mental hygiene agencies, including, the Office of Alcoholism and Substance Abuse Services, the Office of Mental Health, the Office for People with Developmental Disabilities, the Developmental Disabilities Planning Council, and the Justice Center for the Protection of People with Special Needs. Prior to her appointment by the Cuomo Administration, Tracie was a key member of the Legal Action Center for over fourteen years, serving as LAC’s Co-Director of Policy. In this role she conducted and coordinated the Center’s New York State public policy advocacy in the areas of substance use disorders, criminal justice and HIV/AIDS. Tracie is currently the Associate Director of the Legal Action Center. Tracey Helton Mitchell has dedicated her life to the care and treatment of people who use drugs. Tracey entered school through an ex-offender's program where she earned a bachelors of business administration and masters of public administration. In addition, she is a certified addiction specialist and supervisor. She was featured in the movie Black Tar Heroin: The Dark End of the Street. She has also been featured by CNN, Anderson Cooper, Vice, the Huffington Post, and the New York Times. Dr. Trigg is a pediatrician and public health physician. He worked for 23 years with the New Mexico Department of Health where he helped to establish one of the first statewide harm reduction programs in the U.S. He was part of a multidisciplinary perinatal substance use program that continues after more than 25 years. He was leader of the effort to start a methadone maintenance program at the Bernalillo County jail in Albuquerque. Dr. Trigg worked as a clinician in buprenorphine and methadone treatment programs in New Mexico. He has been a national advocate for providing medication for addiction treatment (MAT) for incarcerated populations. He worked as a global MAT consultant in South East Asia from 2013 to 2016. Dr. Trigg now lives in NYC where he is a consultant with the New York State Department of Health, AIDS Institute, Office of Drug User Health and consults nationally on MAT. Dr. Trigg graduated from the George Washington University School of Medicine. He did his pediatric training at Albert Einstein College of Medicine in NYC and the University of New Mexico. He worked for three years as a General Medical Officer in the Indian Health Service in New Mexico and Arizona.